I live and operate in the world of facts of real science. I don’t get swayed by hype or popular bandwagons. I am going to share facts with you today that you that while readily available on any NSA-compliant search engine for some reason never makes it onto the evening news. I love nature and appreciate the natural beauty that we have here in Utah. i bet that I have put more boot prints in Utah wilderness than the rest of the Utah Legislature combined. I own a functioning wind generator and several solar electric panels. I got into politics because I had to fight an oppressive and corrupt HOA that wouldn’t let me use them. I bet that if that HOA had let me put up my Windmill and solar panels, that I would not be in the State Legislature now. The claim that 97% of scientists believe in man caused global warming is the biggest fraud of the entire scam. The only thing constant in life is change. Earth’s climate is constantly changing and it has been that way since long before the invention of the internal combustion engine. This is the Hockey Stick graph. It was authored by Michael Mann, from the Earth System Science Center at Pennsylvania State University, not the Michael Mann that directed Hawaii Five-0, Starsky & Hutch, Miami Vice. 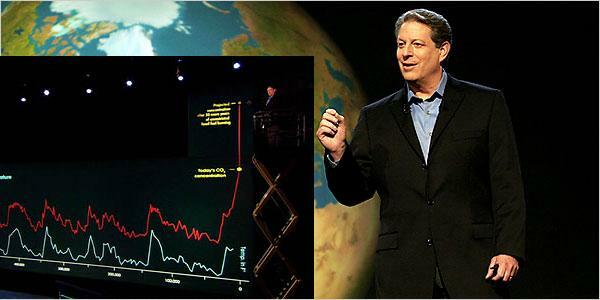 This is the Global Warming "Money shot" that has made former VP Al Gore close to half a billion dollars. His net worth when he left office was estimated at close to $1 Million. However, he has successfully leveraged this Hockey Stick Graph in to nearly Half a Billion dollar$ in net worth. Most people are familiar with this graph and have it embedded in their minds. You can still find it on many news sites. It is still included in scientific journals despite the dates on the chart ending in 2000. However, it has been disproven by the facts from NASA, NOAA, and others. However, few if any news agencies have notified their readers of this fact. Many people, including listeners to this radio station, are not aware that the Hockey Stick global warming projections have been documented to be wrong. The “Hockey Stick” started its sharp upward trend in 1997-1998. 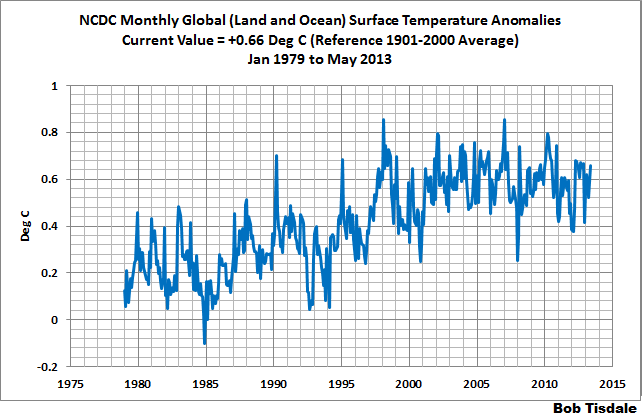 1998 was a warmer than average year, but since then temperature averages have been flat, if not in decline. The science is clear, it is settled, and the opposition against it is funded by people with an economic stake in denial. I am right about the science and my opponents are a bunch of evil opportunists in it only for the money. At the same time that there was measurable average temperature increases on planet Earth, there were also similar comparable increases in average temperatures on other planets and moons with atmospheres in our solar system. In some cases, there was a higher proportional increase to other planets and moons. Mars’ polar ice caps shrank during 1980-1990s which was Earth’s warming period and then returned to normal sizes since then. The primary empirical evidence for long term, global warming on Mars comes from Fenton 2007. 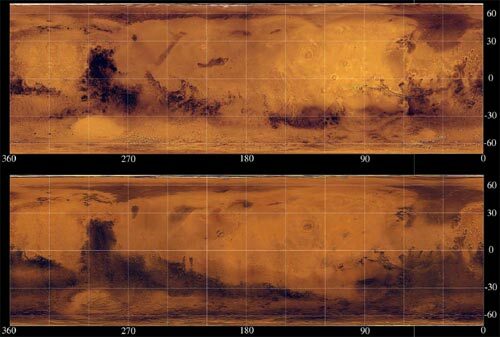 Fenton compared a composite snapshot of Mars from 1977 taken by the Viking spacecraft to a 1999 image compiled by the Mars Global Surveyor (referencing work from Geissler 2005). The 1977 snapshot showed a brighter planet. In 1999, the planet had a lower albedo, with prominent darker regions in the southern mid and high latitudes. Using the albedo changes in a general circulation model, Fenton calculated a 22 year global warming trend of 0.65°C. "Sequence of photos illustrating the Global Warming on Mars. Observe how Mars' Polar Caps have been melting since 1990, the same phenomenon has been occurring on Earth." 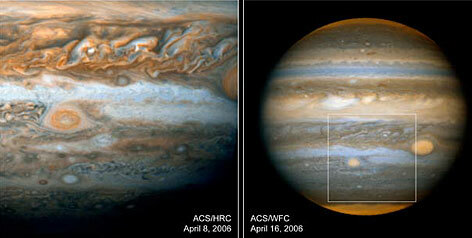 Jupiter had new weather storms that generated due to increased temperatures on that gaseous planet. The latest images could provide evidence that Jupiter is in the midst of a global change that can modify temperatures by as much as 10 degrees Fahrenheit on different parts of the globe. This growth signals a temperature increase in that region, she said. Pluto, which was recently downgraded from a planet to a dwarf planet has been noted to increase by 3 degrees Celsius. Even Pluto has warmed slightly in recent years, if you can call -230C instead of -233C "warmer." Spike in CO2 emissions but no corresponding increase in global temperature, CO2 is plant food and water vapor is the ‘strongest’ green house gas. According to Dr. Chris Martenson who presented before the Utah State Legislature, 50% of the Earth’s known oil reserves have been consumed in the past 22 years. By quantity, there is much more water vapor than carbon dioxide in the atmosphere. Water vapor varies from a trace in extremely cold and dry air to about 4% in extremely warm and humid air. The average amount of water vapor in the atmosphere averaged for all locations is between 2 and 3%. Carbon dioxide levels are near 0.04%. That means there is more than 60 times as much water vapor in the atmosphere than carbon dioxide in average conditions. These oil reserves have been converted to CO2 creating the highest concentration of C02 in the Earth’s atmosphere. The Economist says the world has added roughly 100 billion tonnes of carbon to the atmosphere between 2000 and 2010, about one-quarter of all the carbon dioxide put there by humans since 1750. This mismatch between rising greenhouse gas emissions and not-rising temperatures is among the biggest puzzles in climate science just now, The Economist article says. Assuming for the sake of argument the alarmists’ dubious claim that global temperatures rose by as much as 0.8 degrees Celsius since 1900, and also assuming for the sake of argument the dubious assertion that rising atmospheric carbon dioxide levels are entirely responsible for the gradual warming since 1900, this reveals that a 40 percent increase in atmospheric carbon dioxide levels created merely 0.8 degrees Celsius of warming since 1900. This shows much lower climate sensitivity to atmospheric carbon dioxide levels than claimed by global warming alarmists. Rather than being a harbinger of doom and gloom, the approaching 400 ppm carbon dioxide threshold presents still more evidence that humans are not creating a global warming crisis. As a side note, the last time that CO2 was at levels this high was during an Ice Age. In geologic history, CO2 concentrations in the atmosphere were much higher, but temperatures often were lower. In the Late Ordovician Period, CO2 concentrations were 12 times higher than they are today. The Late Ordovician Period was an ice age. Ordovician Period was 1.5 - 1.9 million years ago. We learned that some of the Scientists at the center of the Global Warming debate were actually faking numbers to increase average global temperatures. We didn’t learn this because they said so papers that were published in a scientific journals as honest scientists would do. We learned this as a result of “hacktivism” which is usually a tool of the political left. Mike, can you delete any emails you may have had with Keith [Briffa] re AR4 [UN Intergovernmental Panel on Climate Change 4th Assessment]? Keith will do likewise. … We will be getting Caspar [Ammann] to do likewise. I see that CA [the Climate Audit Web site] claim they discovered the 1945 problem in the Nature paper!! Charles Monnett -- the climate-panic scientist who claimed that polar bears were drowning because melting polar ice was leaving them stranded on dwindling ice floes -- was suspended last month from his federal government post over "integrity issues." The Bureau of Ocean Energy Management, Regulation and Enforcement is focusing on what appears to be Monnett's unsupported assertions. No conclusion has been reached yet, but the revelations that sparked the inquiry, if substantiated, will be more inconvenient truth for the high priests of global warming. It was not just dishonest scientists in England, The University of Colorado added completely made up data in their sea level data to make actual sea levels match their model. The University of Colorado's Sea Level Research Group decided in May to add 0.3 millimeters -- or about the thickness of a fingernail -- every year to its actual measurements of sea levels, sparking criticism from experts who called it an attempt to exaggerate the effects of global warming. Do you remember how the local media freaked out when the Utah Legislature changed the GRAMA laws? The Scientists at the center of the Global Warming debate want to be exempt from Freedom of Information laws so that they don’t have to disclose their data or emails, and I all hear is crickets from the liberal media. Freedom of information laws are being misused to harass scientists and should be re-examined by the government, according to the president of the Royal Society. 5. The claim 97% of Scientists believe in Man Made Global Warming was based on a VERY unscientific study. They way this claim is repeated, it make you think that a reputable polling company like Gallup, Rasmusen, or Pew called a representative sample of card carrying scientists and 97% said that they believe in Man Made Global Warming. The reality is very different than that expectation. The way it was calculated was by reviewing synopsis of articles in scientific journals for a period of time. 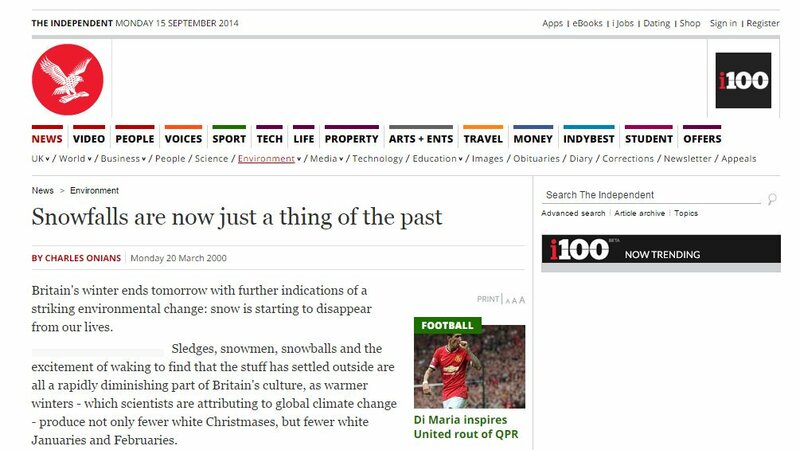 If the article was in opposition to Man Made Global warming it was counted as such. However, if the article said nothing about Global Warming, it was counted as supporting Man Made Global Warming because was not in opposition. This was completely fraudulent, very unscientific, and yet is used in virtually every debate about Global Warming. Hollywood and Google team up to prove there has been no seal level rise in past 50 years https://t.co/diGmwrTQ9W #utpol #GlobalWarming? Scientists said Arctic sea ice would melt entirely by September 2016 - they were wrong https://t.co/27Bw9O9oiW #utpol #GlobalWarming? Russian Scientists predict ICE AGE within 15 YEARS due to Sun 'cooling' https://t.co/ivkDMhgndE #utpol #GlobalWarming?